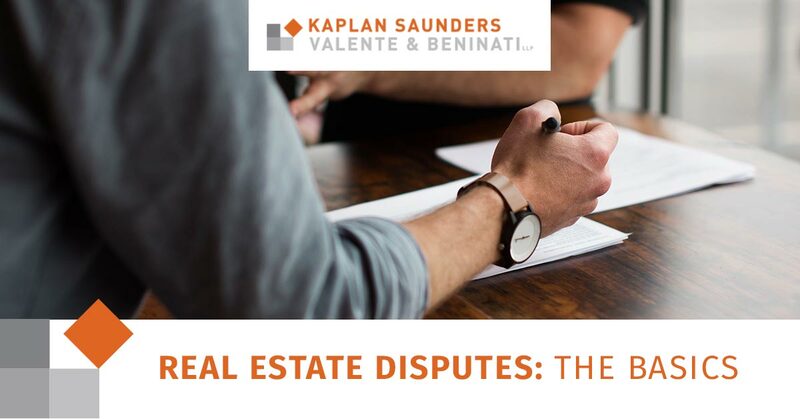 Whether you’re a developer, commercial landlord or broker involved in real estate, you might one day find yourself in a real estate dispute if you’re in the business long enough. Real estate litigation can be complicated, which means finding an attorney well-versed and experienced in the topic can be difficult. At Valente Law in Chicago, our attorney Charles Valente has years of experience in resolving real estate disputes. Contact him today to see how he can help you with any of your real estate problems! A real estate lawyer can help in resolving any real estate issues you may face. They often review real estate transactions and can help resolve foreclosures, title insurance and property issues. Transaction reviews: Reviewing and offering advice to a client regarding a real estate transaction. Negotiations: Arranging the best terms and conditions for a client’s real estate transaction. Litigation: Going to court when a real estate transaction is violated. Document drafting: The writing of any legal document concerning real estate transactions. Title issues: Disagreements about who owns a portion of a property. Breach of contract: When original rules of a contract are broken. Landlord/tenant disputes: Any disagreement between a landlord and tenant of a property, ranging from a tenant’s aggravation with upkeep issues to a landlord seeking to evict a tenant. Easement disputes: A legal right to use someone else’s land for a particular purpose. Purchase agreements: A legal, binding agreement between two or more parties that allows for the purchase or exchange of a property. Commercial leasing agreements: A legal contract to rent retail, office or industrial space between a landlord and tenant. Zoning concerns: Usually related to the construction, financing, acquisition, disposition and management of real estate projects. Attorney Charles Valente of Valente Law has frequently represented a variety of real estate clients including, owners developers, banks and other lenders, title insurers, commercial landlords, commercial tenants and brokers. He’s practiced a wide variety of real estate litigation in state, federal and bankruptcy courts. Foreclosures: The action of taking possession of a mortgaged property when a mortgagor fails to pay their mortgage payments on time. Quiet title action: A lawsuit to establish a party’s title to real property against anyone and everyone, and thus “quiet” any challenges or claims to the title. Fraud: A person who uses deception to get financial or personal gain. Receivership matters: A type of corporate bankruptcy when a receiver is appointed by bankruptcy courts or creditors to run a company. Landlord/tenant matters: Disagreements between commercial landlords and tenants of a property. Shopping Center disputes: Disagreements between property owners, management companies, etc. that conduct their business in a shopping center. Mechanics Liens: A security interest in the title to a property, benefiting those who have supplied labor or materials that improved the property. Construction disputes: Disagreements that arise when a party perceives a real violation of a construction contract. Creating and implementing ADA compliance audit programs. Developing ADA-compliant operational policies, practices and procedures. Creating and presenting ADA training programs for property managers, real estate developers, lawyers, design professionals and more. Representation in U.S. Department of Justice investigations. Offering general advice and counseling on real estate matters. Valente’s law firm has received Tier 1 (the highest) ranking in real estate litigation from the U.S. News & World Report for the past four years. If you’re currently in some legal trouble, call Valente Law today at (312) 832-7890 or fill out an online request form to schedule an appointment.